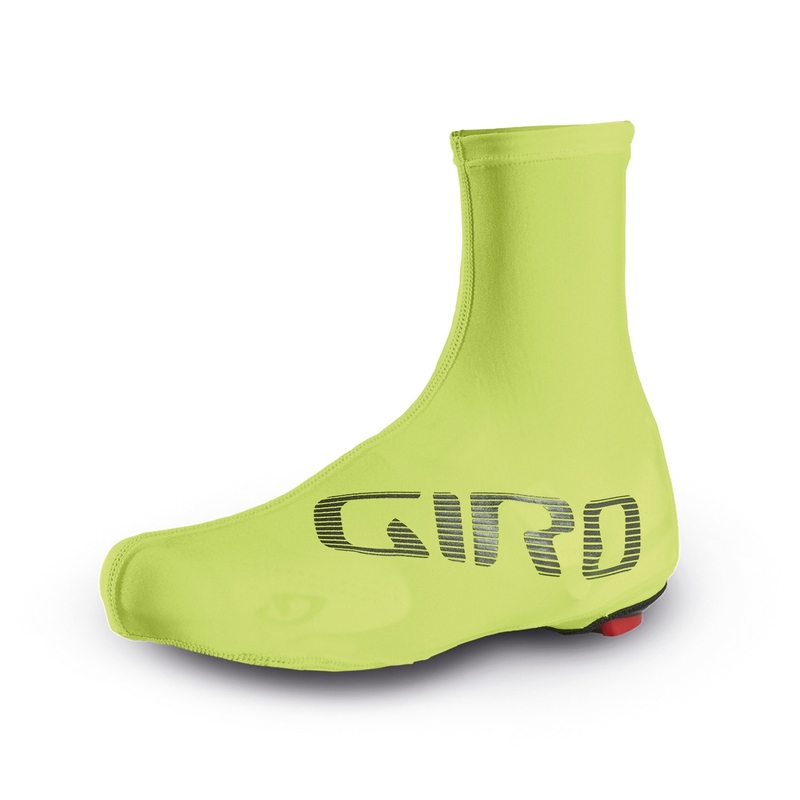 The new Ultralight Aero™ Shoe Cover not only protects your much-loved cycling shoes from road grime, the form-fitting Lycra® design reduces aerodynamic drag to give you an extra bit of speed when needed. Great item for the price. My first time using overshoes, these are bright (I bought the fluro) and fantastic for visibility out and in the rain, and easy to use. Having a zip would make the overshoes easier to put on over your shoes, but for the low price of the item they are great value. Had no problems with the waterproofing, and sizing seems accurate - a snug fit over my shoes with no worry about slipping off. It blocks the wind and it is very light. Very quality fabric. This is my second pair of the Giro covers. These are super and light weight for all riding climates. Surprisingly the fist pair lasted about 600 miles with frequent on and off. Hopefully my second pair will perform the same.